The ride from Idaho to Northern California. It really is so boring. Nevada, I am sure there are many lovely things about you. It’s just that from the car I can’t see them. The 14 hour car ride to make it to my Dad’s house is a little daunting. To break it up, we decided to make a very fun stop in Fairfield, CA. The Jelly Belly Factory! 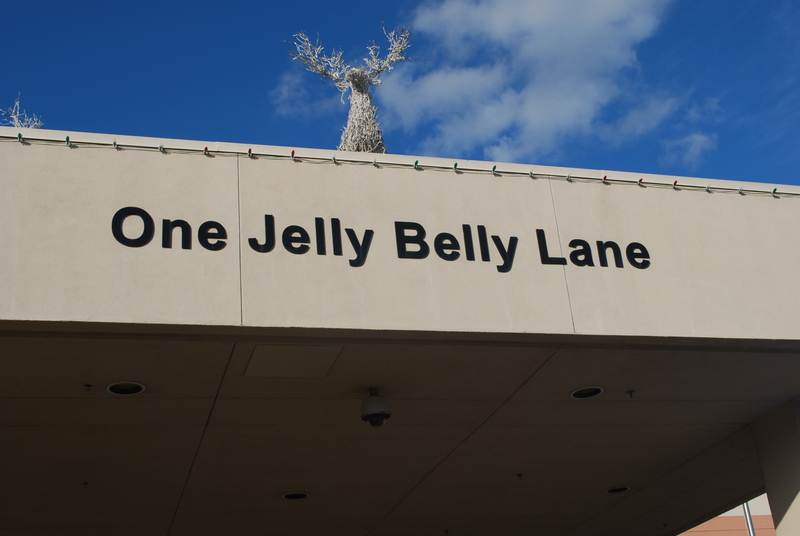 Home of the famous Jelly Belly! Fairfield is just off I-80 in Northern California. It took less than 10 minutes to get from the freeway to the factory. Right away you know you are in a special and festive place. My kids like their new Jelly Belly friend. The lobby is bright and festive, although somewhat reminiscent of play land at McDonald’s. Once you come inside, you can then get in line for the free factory tour. You are given a Jelly Belly hat to wear, and then you proceed as a group to see each step of the Jelly Belly manufacturing process. The tour is guided, but supplemented with video footage projected on large TV monitors suspended over the the factory floor. As you move along, the tour guide passes out tastes of Jelly beans in various stages of completion. I wish I had photos to share, but photos within the factory are not allowed. It was fascinating to see all the robots and automation that make Jelly Bean production on such a massive scale possible. It smelled wonderful in the factory! 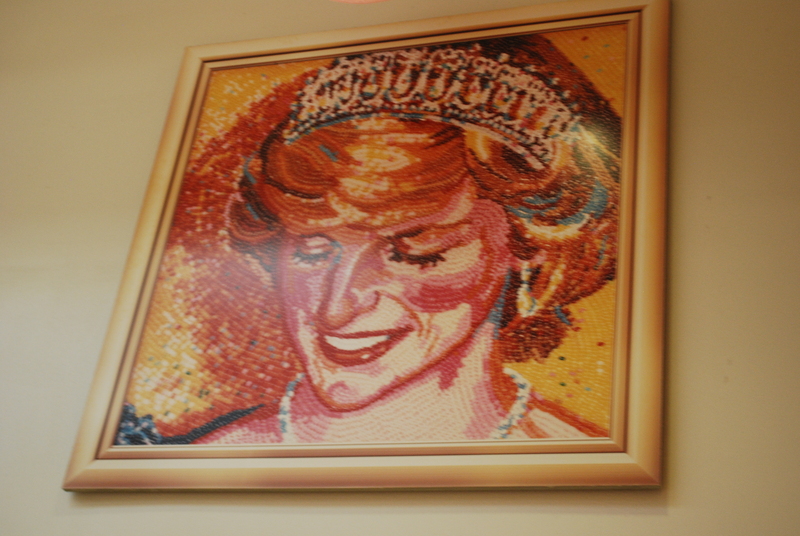 We also learned what sets apart the Jelly Belly bean from their competitors. I am not a huge Jelly Bean connoisseur, but even I can taste the flavor difference between the Jelly Belly and your average jelly bean. Most jelly beans have a flavored outside and plain jelly inside. Jelly Bellies are flavored all the way through, and they have a team of food scientists who spend hours perfecting flavors, which are often made from fruit purees and extracts. 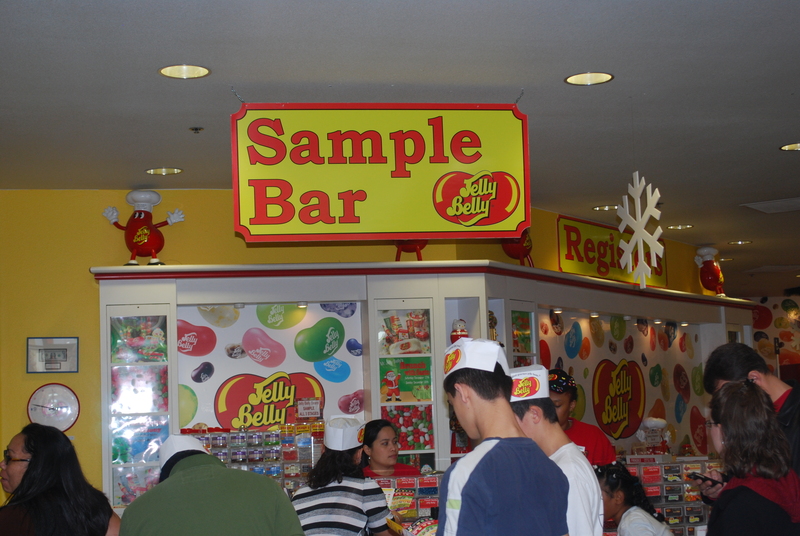 At the end of the tour, each participant is given a complimentary bag of Jelly Bellies and flavor guide. Afterwards we were set loose in the gift shop. Best find: big bags of “seconds,” Jelly Bellies in irregular shapes called “Belly Flops.” In the shop, you can purchase every Jelly Belly flavor imaginable. We let the kids pick a bag of their favorite flavors. Also, there is a tasting bar where you are permitted to sample three kinds free of charge. My son was brave and tried rotten egg and moldy cheese. Not surprisingly, they tasted really gross. 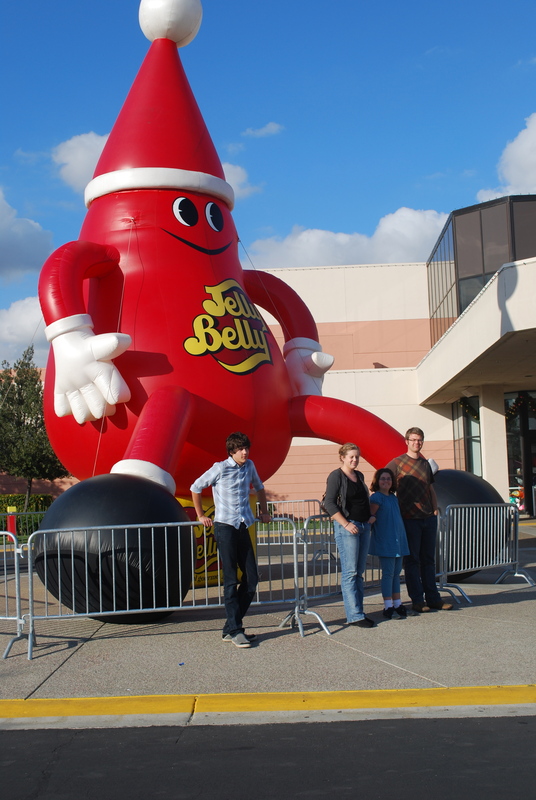 And to conclude our little tour of the Jelly Belly factory, let’s talk art. 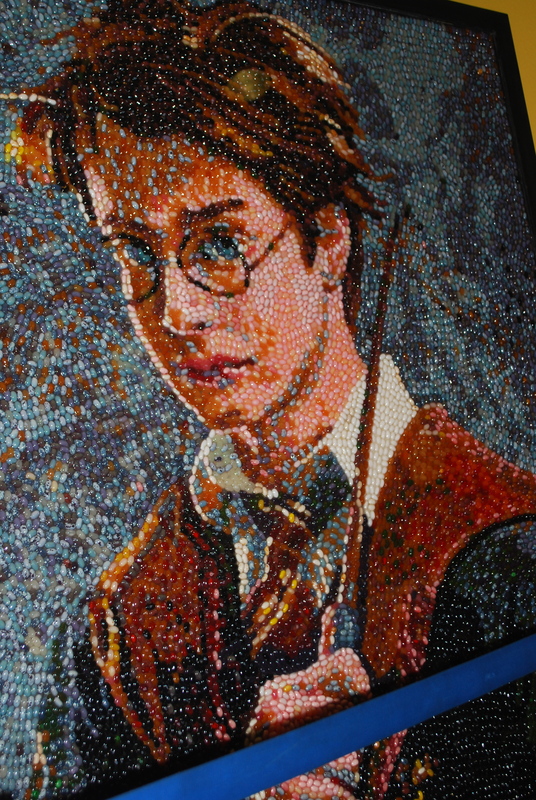 Jelly Bellies: the new mosaic medium! So, I wouldn’t call the Jelly Belly factory a “destination,” but it is the perfect via point. We all enjoyed ourselves, and loved munching on our bags of Jelly Beans for the remainder of the trip. I can’t think of a better road stop. We were there a total of about 90 minutes, since we walked in right as a tour was starting. 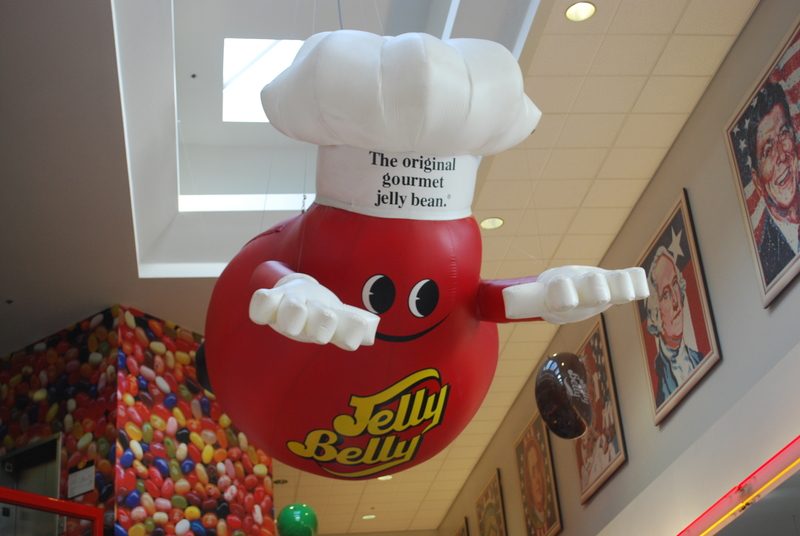 For more information, visit the Jelly Belly Factory website. More adventures from California to come! Ok, this is one that wouldn’t let me comment and now that it is displayed differently it is working. I have no idea what changed it though. A few days ago I was reading your blog and it wouldn’t let me comment on anything, but I think it was my intent acting up because it wouldn’t let me look at most of them either. Anyway, we went to the JB Factory when we lived there for a field trip one summer. It was loads of fun.